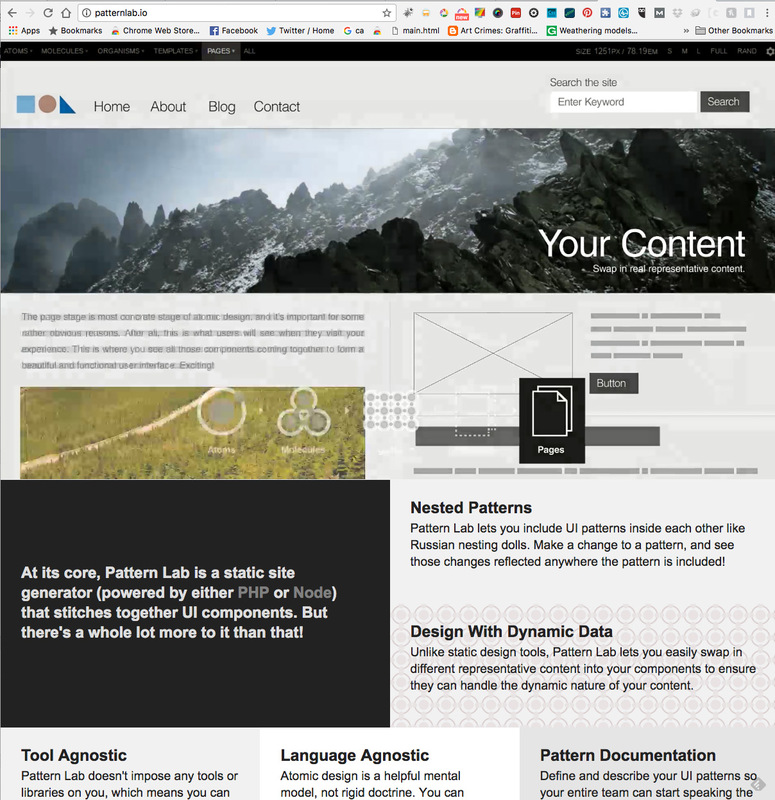 Patternlab is a system that helps you build user interfaces based on the principles of Atomic Design. Once set up you get a real picture of how your site will look and feel. You can use a starter kit loaded with your favorite framework like Bootstrap or you can start from scratch and build your own. Patternlab is great for prototyping or developing front-end code. Works with Twig, Drupal, Sass, etc., but you really can choose which set of tools you want to use. Atomic Design is a great way to go from template to launch. It speeds things up by working on the design and code at the same time. Testing is a breeze and if something breaks you only need to fix that one part. Focusing on small reusable parts makes sense, it speeds development as well as helps to maintain consistency within a Web design project.